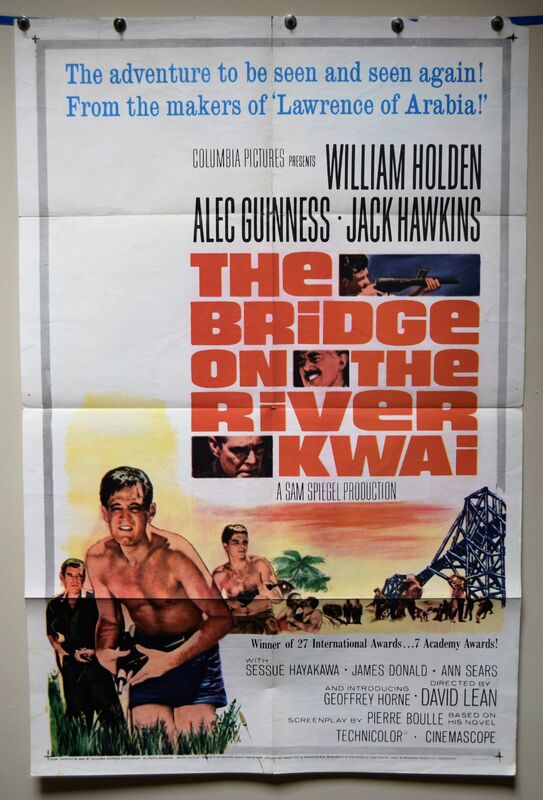 Bridge on the River Kwai (Columbia Pictures,1957) One Sheet 27" x 41"
A magnificent moving war film starring William Holden, Alec Guinness and Jack Hawkins. This 1963 release poster has some defects which include two fold separation holes, repaired tears top left corners, split in top edge fold and small holes in borders. 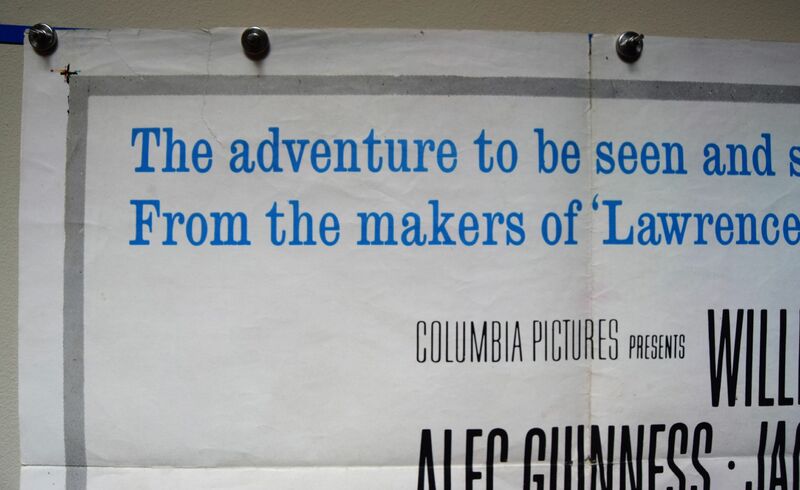 Still presents very well as shown by the picture. Grade: C7 Fine to Very Fine.